Without a doubt, the intelligent creations of the human mind change the whole pattern of our lives. Naive people would say that everyone in our society follows the path of kindness and unselfishness concerning the best interests of the humankind. Yet, the “crème de la crème” prefers the existing. Yet, the “crème de la crème” prefers the existing, non-innovated environment. That act caused many inventions to fall down the river. Nikola Tesla called the death ray “Teleforce” and demonstrated it as a powerful weapon able to produce acute energetic rays of light. These beams would have been used for dealing with enemy warplanes, armies from abroad and any other unwanted person or appearance. This invention was never constructed because with its help people would sabotage themselves very quick. Nikola Tesla said that with the help of this electromagnetic weapon a nation would have a protective wall impenetrable for foreign armies, destroying them from 200 miles away. He annulled his master plan by believing somebody wants to steal his idea. Aided financially by JP Morgan, Tesla arranged to build a wireless transmission tower called the Wardenclyffe tower, with the location in New York. While Morgan’s wishes were the tower to transfer wireless communication across the globe, Tesla had other intentions. He had a theory that the Earth can transfer signals and he wanted to prove it by wanting to transmit messages across the ocean to the ships into the sea. If his theory was right, he would have proven that the natural arrangements of the planet can be used for anyone to produce free electrical power. His theory and his plan never came true, of course, because they generated no money earnings. Nikola Tesla made quite a few statements about his flying saucer. He claimed his flying saucer never had wings or propellers, never flied regularly or didn’t even look as a flying object of that matter. Yet, he claimed this object it’s capable of moving ideally in the air with perfect security and with greater speed that people have ever seen. Tesla suggested the saucer can also stay immobile in the air even though the weather is not good or the wind is very strong. He pointed out that the capabilities of his flying saucer depend only on its positive mechanical action. Tesla lived in a world where he could be able to make airships drink their power from the atmosphere. 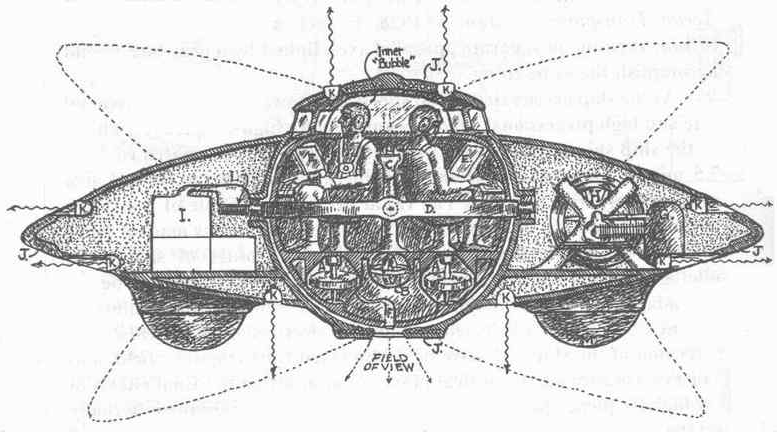 He also proposed airships that could work without the skills of a man. His work resulted in the today’s so-called drone ships.